Here we have free worksheets and videos relating to expanding brackets. Click on pictures to see larger versions. I find that classes love this sheet. Treat it like a race to see who can complete the most and they will sit and concentrate for ages. A video on expanding brackets of the form a(bx + c) which I made on PowerPoint, available on YouTube. 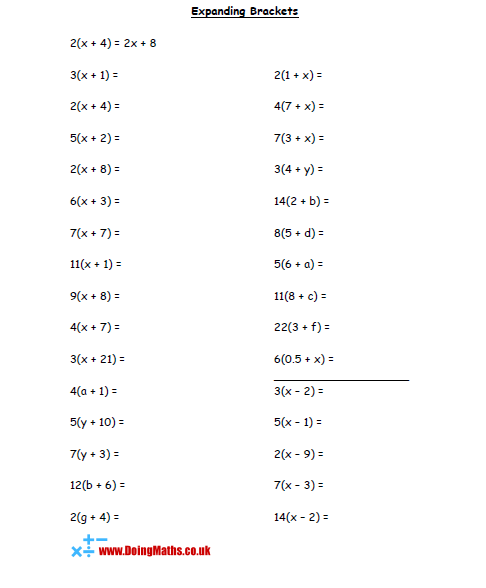 A quick worksheet for practising expansion of pairs of brackets of the form (x + a) (x + b) and (ax + b ) (cx + d). A further worksheet for practising expanding brackets. 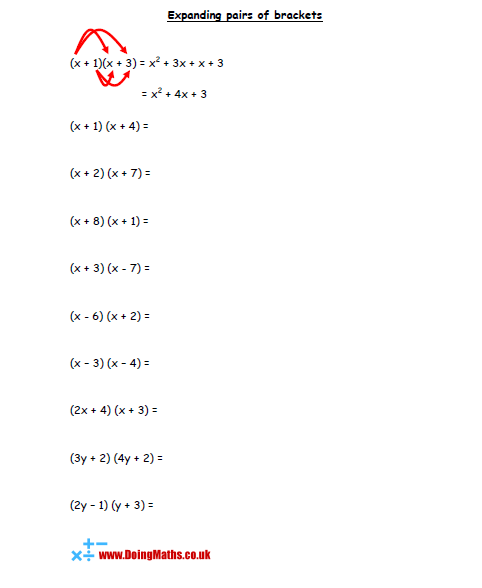 This worksheet follows on from the one above and focusses mainly on expressions of the form (ax + b)(cx + d). 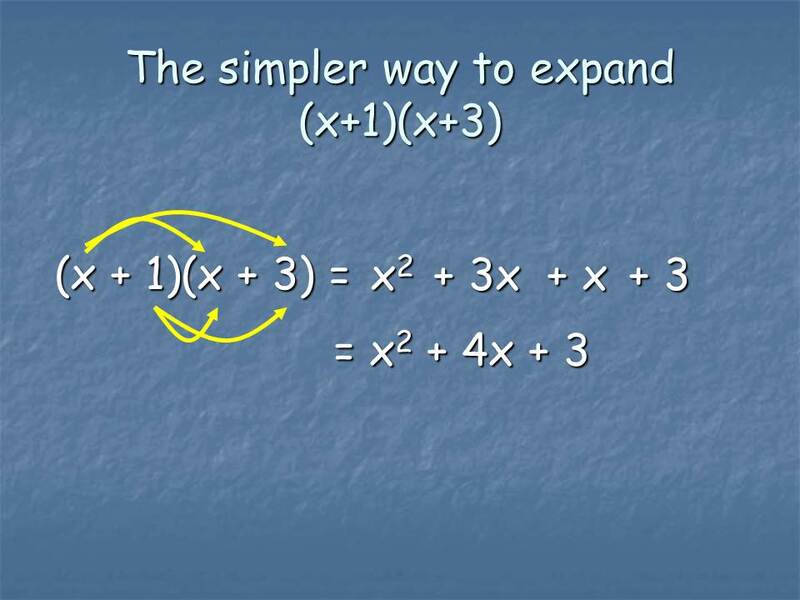 A PowerPoint illustrating how to expand pairs of brackets. (ax + b)(cx + d), available on YouTube.